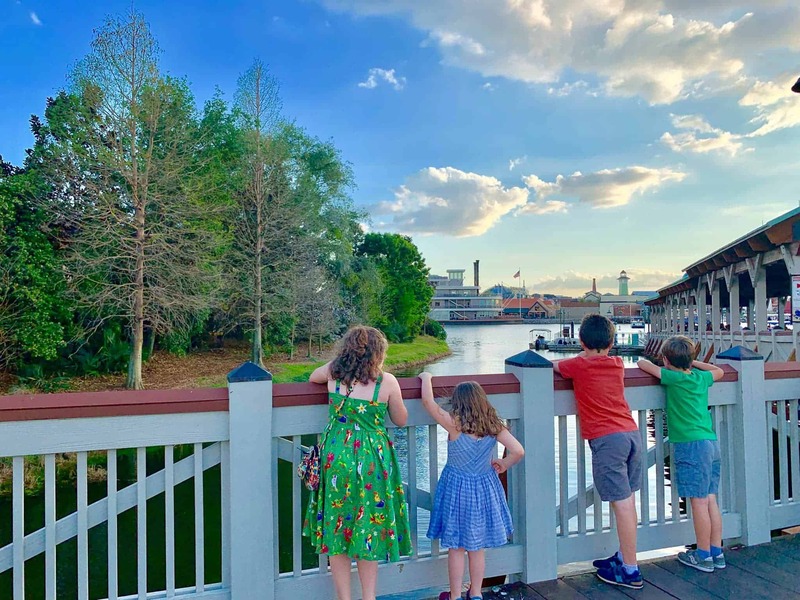 This year has brought a lot of change for our family – selling our house where our children were babies, moving across the country, and now starting school. Sending our oldest two to school was a tough decision. They are super excited about meeting new friends. I’m excited about offering them healthy snacks when they get home, sitting at the table, and talking about their day. 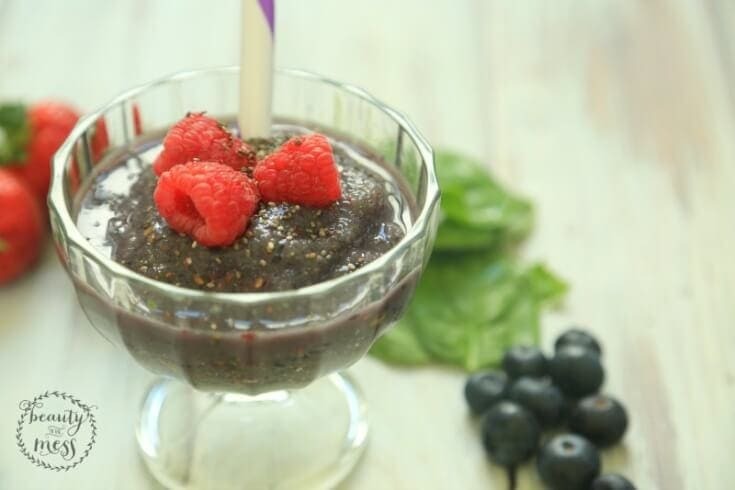 Trying to think up healthy snacks isn’t an easy task. Taking the time to provide nourishing foods and listen to your children after school talk about their day is priceless. This time, while it may seem insignificant, opens the door for hard conversations later. Thank goodness for healthy food choices. One place where the kids enjoy shopping is King Soopers. They grab their child-sized cart and are off to the races. We’ve been learning how to read labels because we are a gluten free and peanut free family. 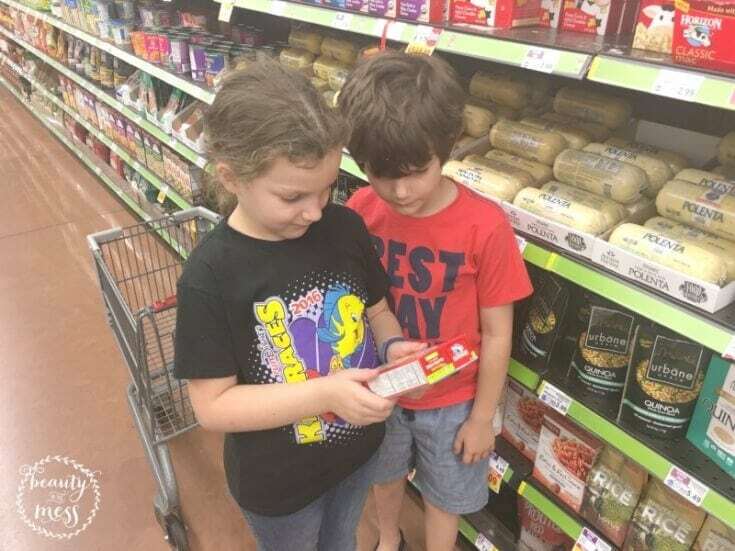 We have to read labels carefully so we don’t bring home foods that might even have trace amounts. One of the best routines you can start at back to school time is spending some time once the kids get home learning about their day and sharing a snack. 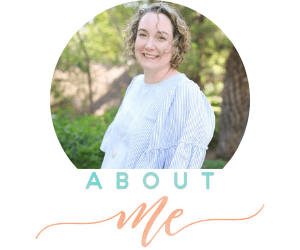 Of course they might start with “I don’t know” or “Oh, nothing”, but when they need to tell you something important, they will know that you are there for them. We just need to be present and listen even when our to-do list is screaming at us otherwise. What kind of snacks? It doesn’t have to be complicated. Simple is best. 1. 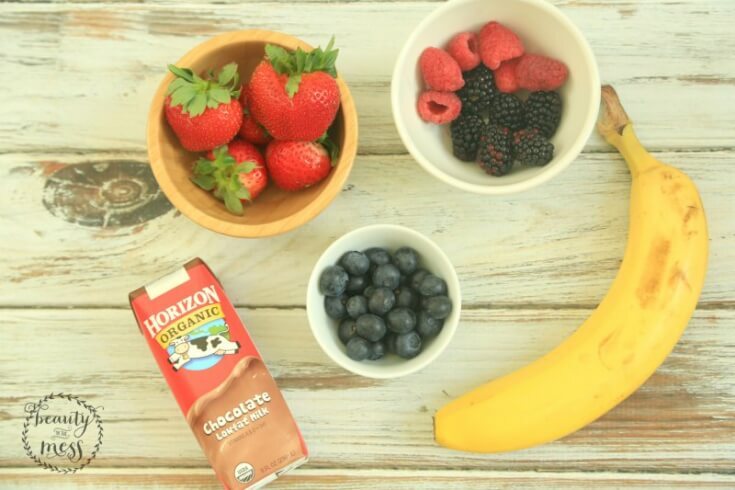 Fresh fruit and Horizon Chocolate Milk. Rinse off the fruit in the fridge and have it ready. Easy. 2. 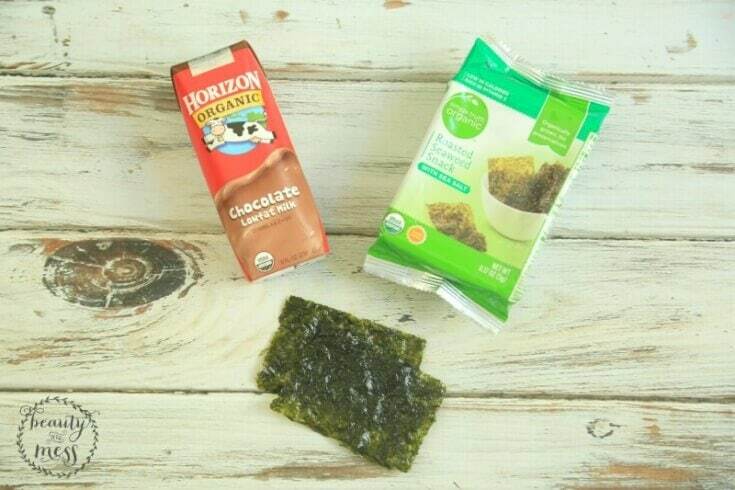 Horizon Single Serve Milk and Simple Truth Organic Roasted Seaweed Snack. My kids LOVE Roasted Seaweed. 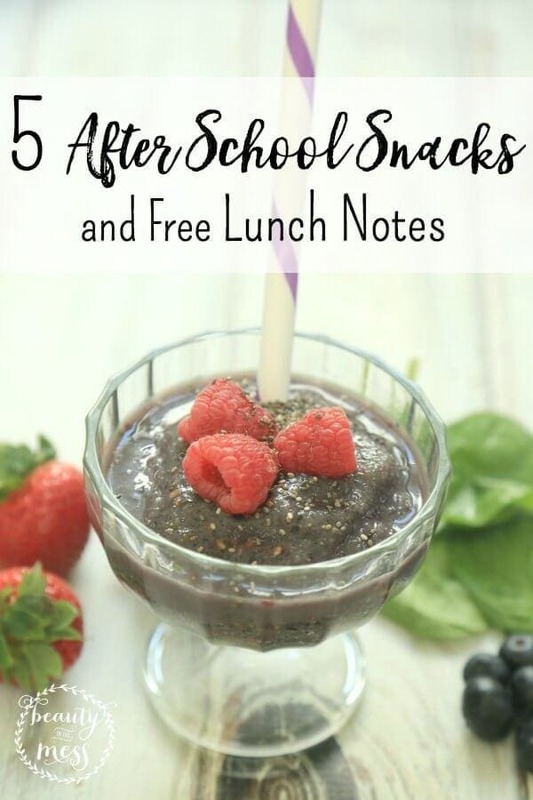 It’s good for them and makes a super simple snack or a quick addition to their lunchbox. 3. 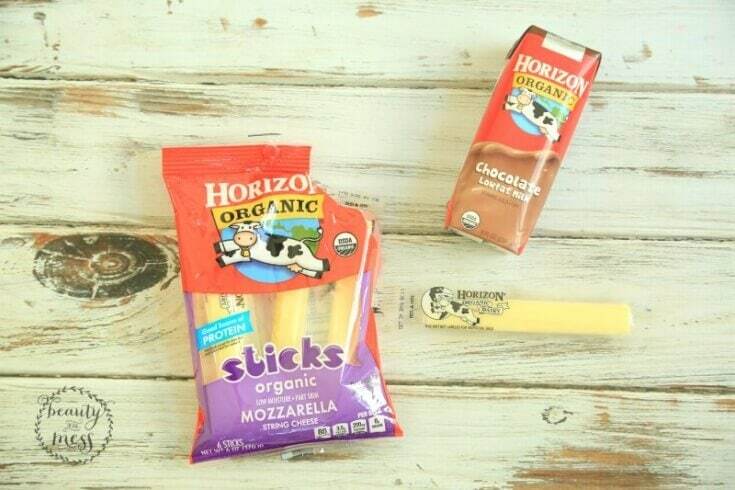 Horizon Organic Sticks in Mozzarella and Horizon Single Serve Milk. These cheese sticks are great to add to lunch boxes or as a simple snack. 4. 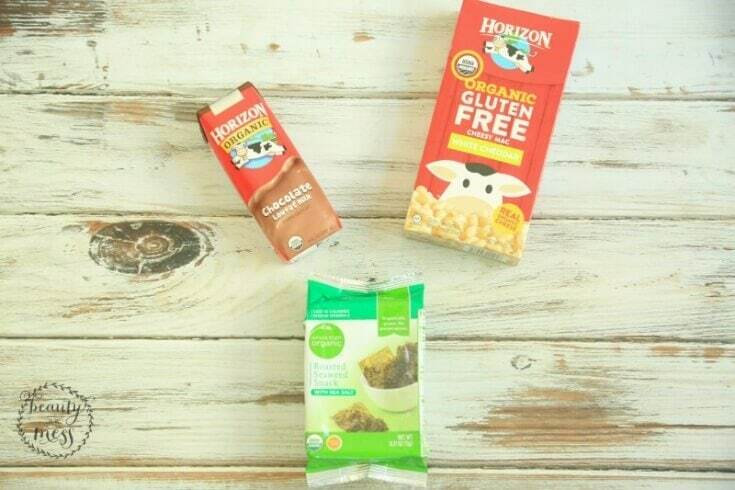 Horizon Single Serve Milk, Simple Truth Roasted Seaweed Snack, and Horizon Gluten Free Cheesy Mac. Simple and easy. 5. 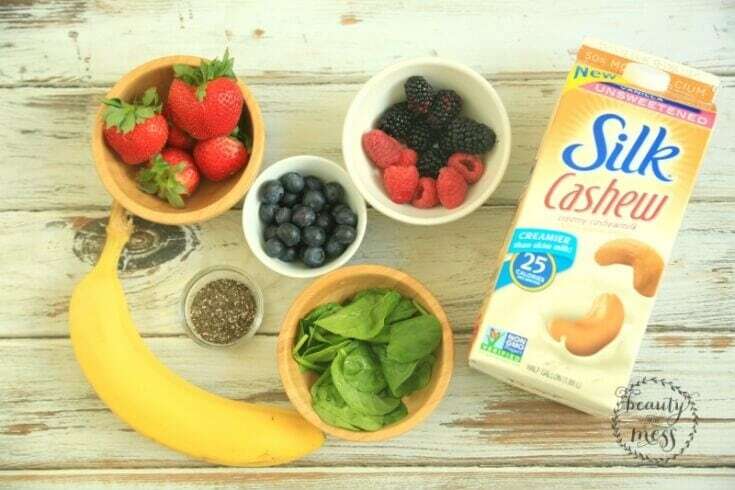 To help combat Back to School germs, try this quick and easy smoothie to get their vegetables and fruits in for the day. 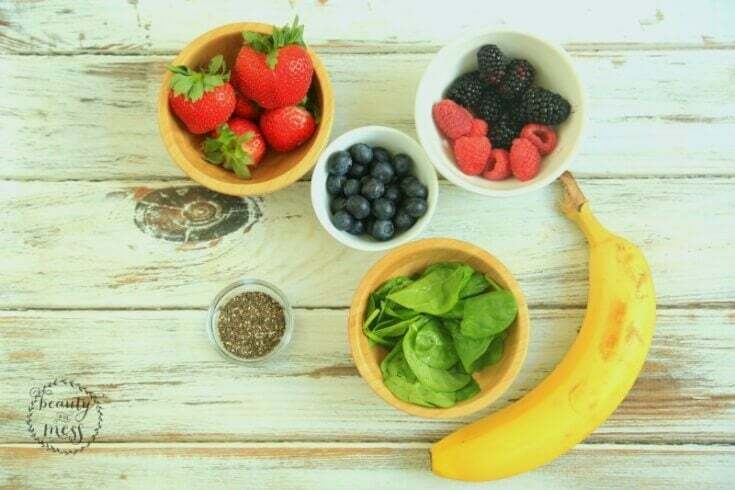 Blend together. Garnish with a few fresh berries. Enjoy! My kids love getting mail. They are super disappointed when we go to the mailbox and nothing is for them. Add a special treat in their lunchbox. These lunchbox notes will reassure your child that they are loved on days they might have a hard time remembering. They will love having a special note or joke to share with friends in their lunchbox. A little bit of encouragement can go a long way. 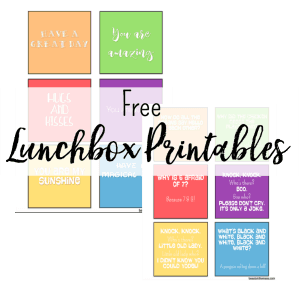 Grab your FREE Lunchbox Notes today and get started on your new routine for when school starts. Thanks for the tip. 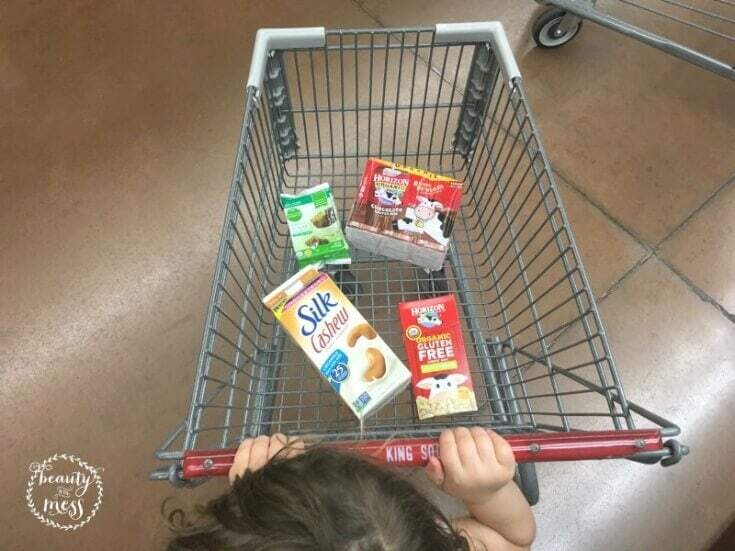 I always need help for snacks for my daughter.